Some people think children should be seen and not heard. But not Shouty Arthur. He thinks being REALLY LOUD is totally great. OUCH! Arthur – please shush! 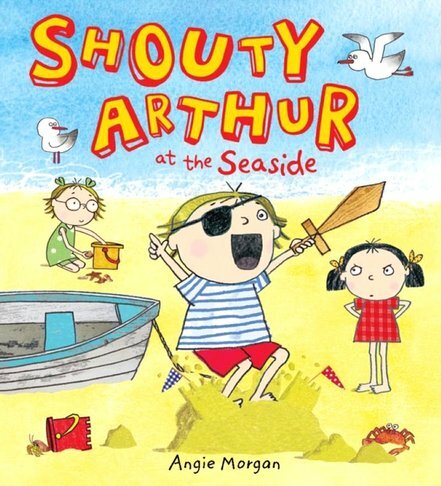 Now Arthur is at the seaside, which means loads of great things to shout about! Like: ice creams. Pirates. Crabs. Sandcastles. Buckets and spades. Paddling. Do you like any of those things? Trouble is, you’ll also have to like the sound of Arthur shouting. Will his yelling save the day when he and his sister are trapped by the tide?